Nataly G: Chicken and Waffles?! The best brunch in London. Chicken and Waffles?! The best brunch in London. I know it's a big claim, but so far, I'm going to crown Hotbox with the "best brunch" title in London. 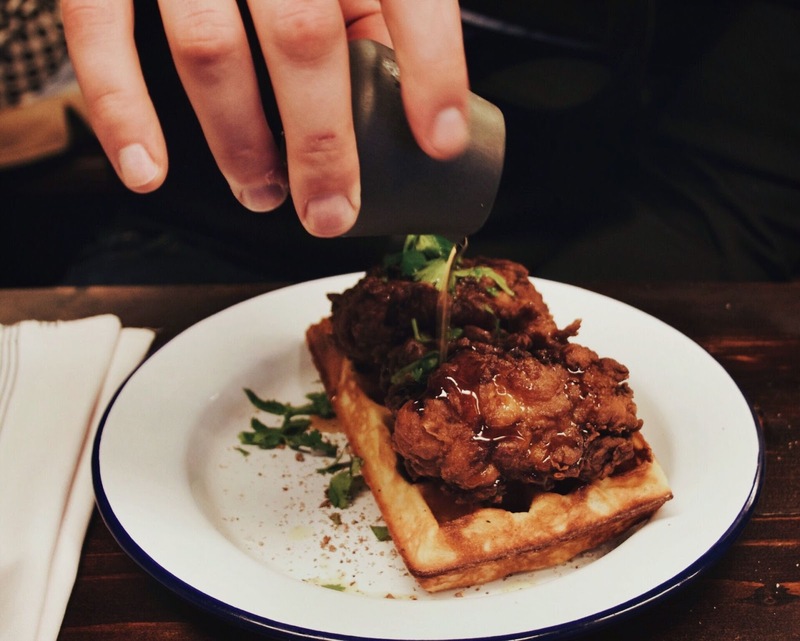 So this Sunday, I went to Hotbox in Shoreditch to try out the brunch I've heard wonderful things about. So I have been absolutely CRAVING American pancakes while being in London. But no one ever does them right. Not, like, PROPER American pancakes. But I'm going to be really honest with you guys. I've tried several places with nice and yummy pancakes. But none of them ever cut close to these deliciously fluffy pancakes from Hotbox. 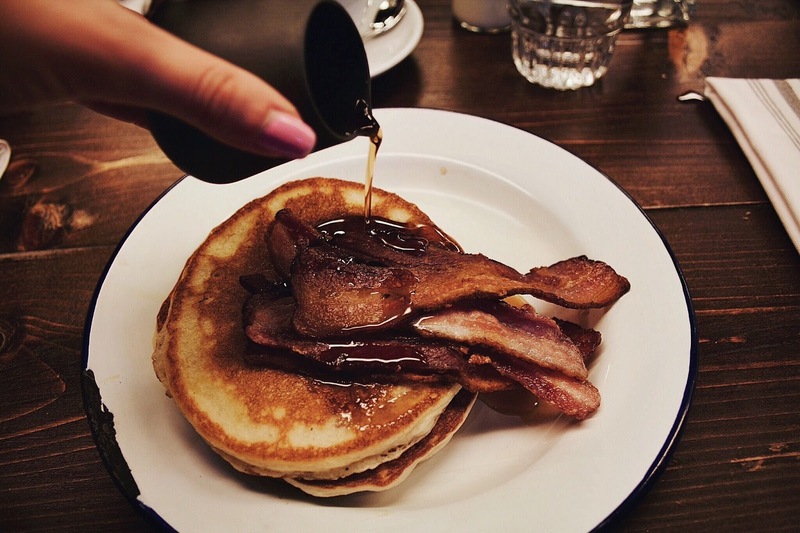 Nothing cuts quite close in England to the crispy thin bacon covered in smooth, sticky Maple syrup on top of the light, fluffy, thick, melt-in-your-mouth pancakes like Hotbox do. 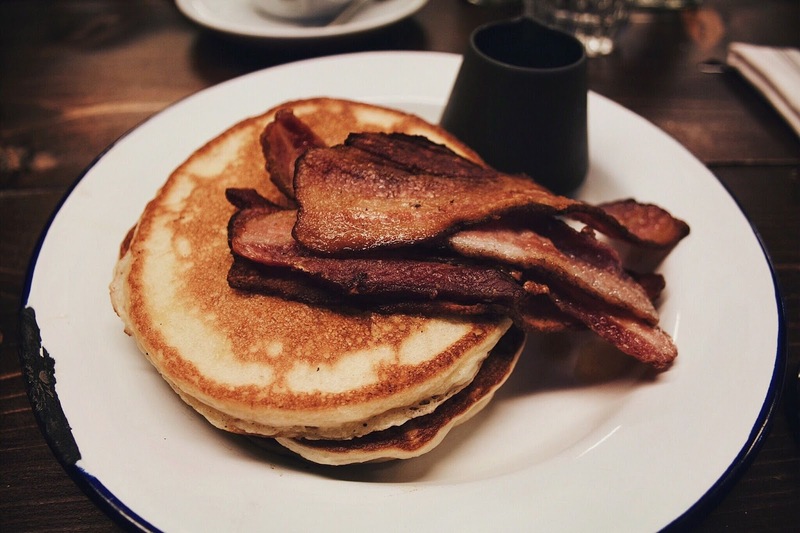 To all Americans searching for the perfect American pancakes in London - this is about as close as you'll get. All it needs is whipped butter, and I feel like I'm tasting the taste of my childhood breakfasts all over again. My boyfriend, Nathan, also wanted to get the pancakes, but to have more of a variety, he decided against his craving and went for the Chicken and Waffle. When he put that first bite into his mouth though, he was immediately so glad that he went for the chicken and waffle and gave me a bite. OH WHAT A TREAT. It was like fireworks were going off in my mouth! 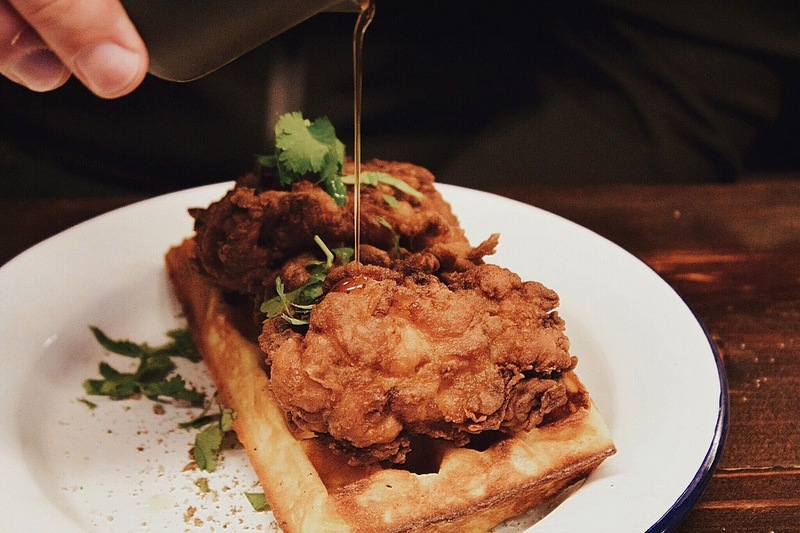 The Maple syrup gives the exact right amount of sweetness that it needs to compliment the wonderfully fried chicken. It was the best combination of sweet and savoury in the morning for brunch. 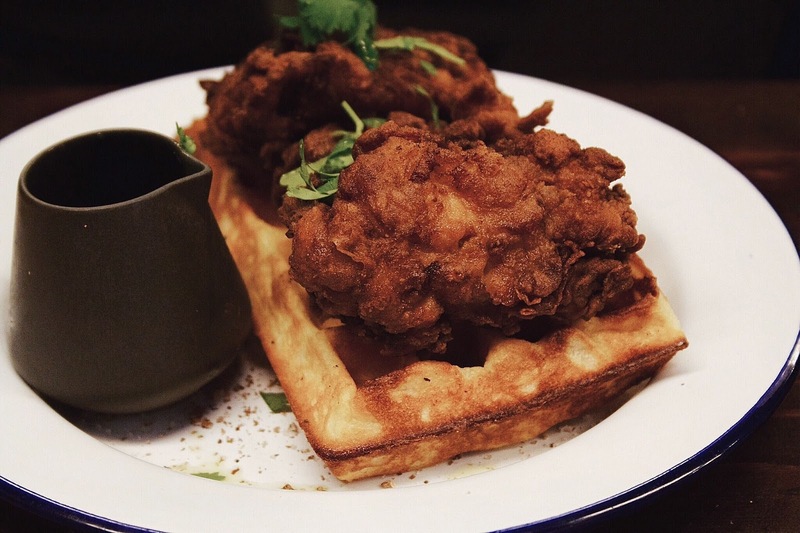 Oh, my tastebuds were celebrating the soft yet crispy chicken with that wonderfully cooked waffle with a hint of sweet Maple syrup. I was just so impressed with Hotbox and almost everything about it (I say almost, because this industrial light was killing my photos. 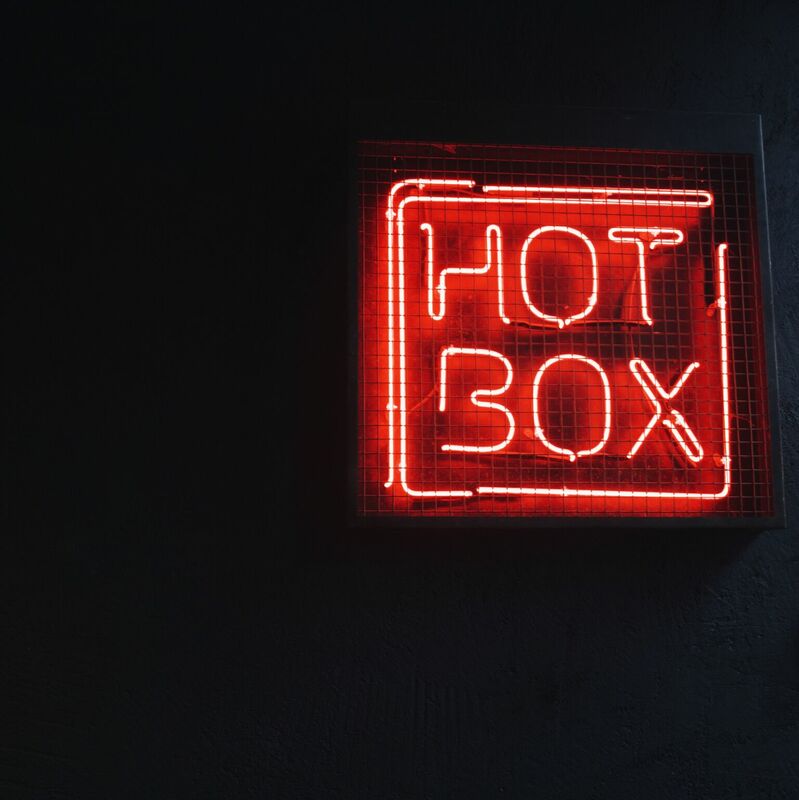 Come on Hotbox, give a sister some natural lighting next time. Haha). 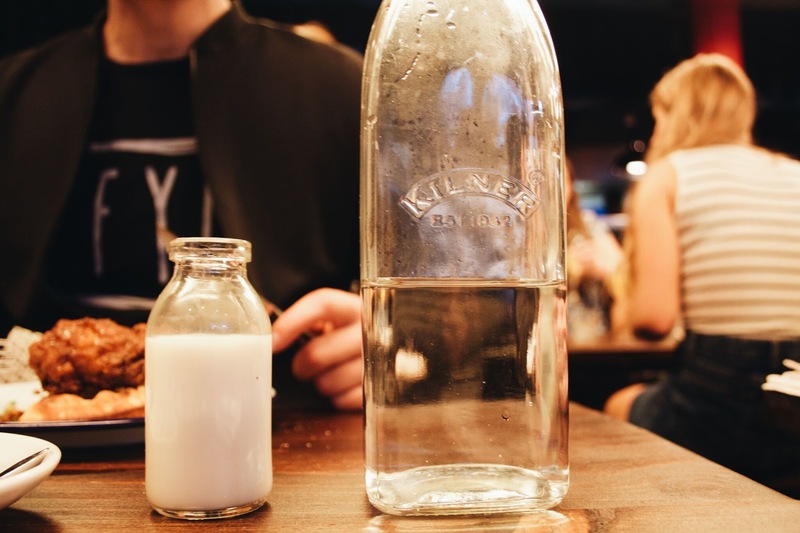 I mean look at the little milk bottle that the milk comes in! It's so wonderfully charming. 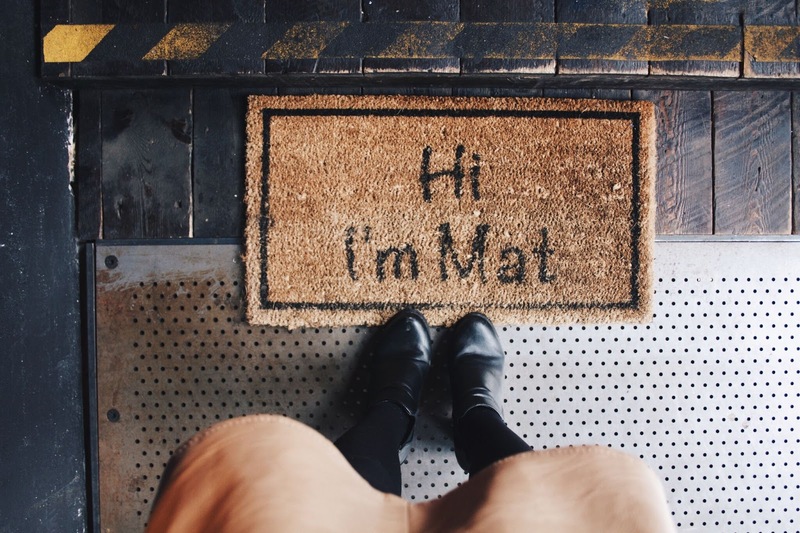 And also, the mat outside. I can't get over it. We left with full, happy stomachs. 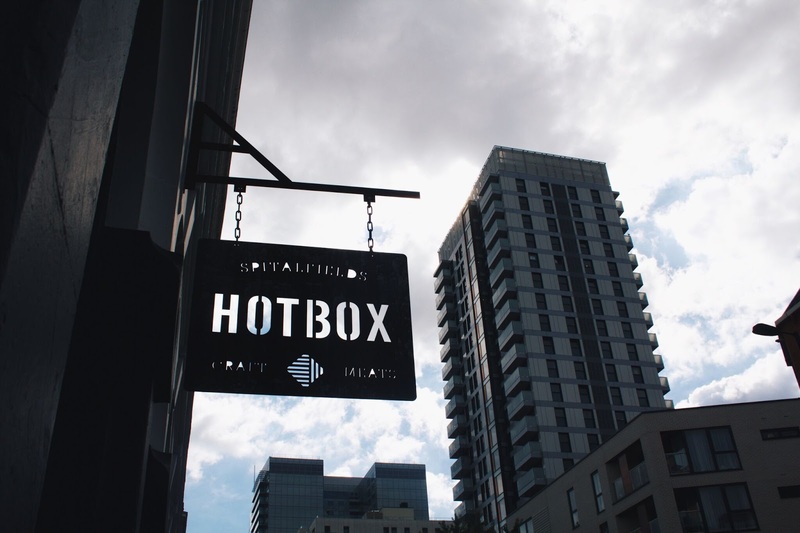 Thank you Hotbox, we were delighted to be there. We will come back soon. 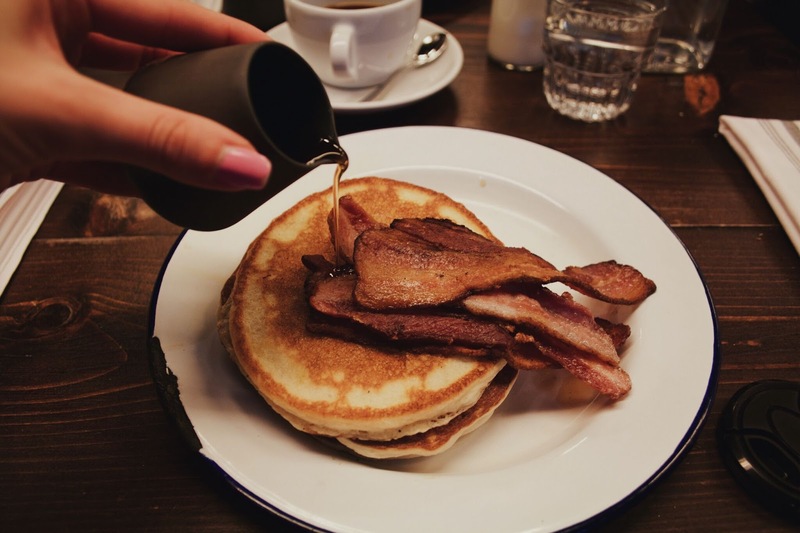 If you're looking to go for brunch, they're open on Commercial Street in Shoreditch near Aldgate East station, but I recommend you book early because they get filled up quite quickly! I can't recommend them any more than I have.